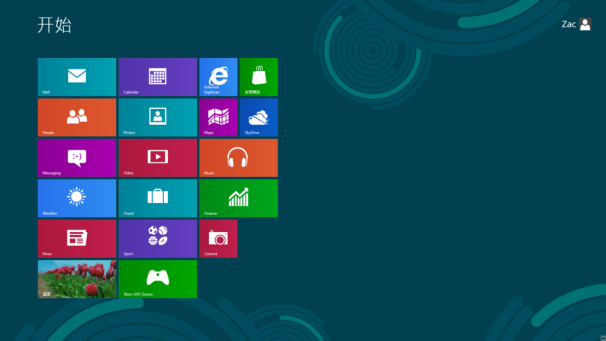 Microsoft's Windows 8 Release Preview may be available as early as Friday, but if you can't wait to get your hands on the next Windows 8 beta, a purported leaked 64-bit version has surfaced online. 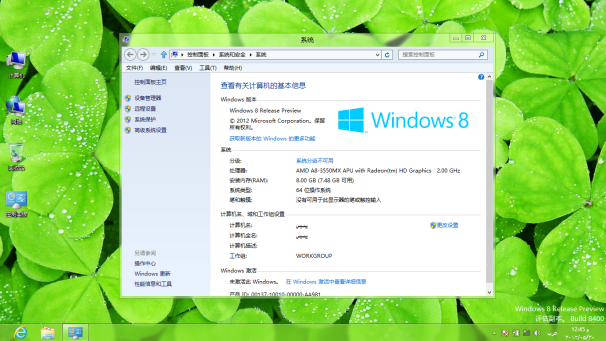 The only catch is the leaked Windows 8 image is in Chinese; however, some users have been able to get parts of the system to display English. Copies of the supposed Windows 8 leak were available on a number of Chinese-language sites, and the Pirate Bay also has links to a 3.29 gigabyte torrent you can download. You can also find an active forum thread on Winunleaked.tk discussing where to get copies of the purported leak and how to try to get the operating system up and running. Based on screenshots posted by users and a brief preview video from Winbeta.com, the leak appears genuine and offers some improvements over the original Windows 8 beta. Metro-style news, travel, and sports apps have been added as previous reports had claimed. The mail app has also been tweaked to make it easier to distinguish between read and unread messages. The Photos app landing screen also looks different. The long vertical columns representing your online photo accounts such as Facebook, Flickr, Pictures Library and SkyDrive have been replaced by smaller thumbnails. It also looks like you can adjust the background image for the photo app start page. If the leaked version matches what Microsoft plans to release in early June, then anyone hoping for radical changes to the user interface may be disappointed. The start button, for example, has not made a reappearance, and the charms bar on the far right side of the screen looks the same. If you do give the leaked Windows 8 beta a try, you would be wise to try running it in a Virtual Machine instead of installing it on actual hardware. A number of brave users have reported serious troubles getting the leaked version up and running. Considering most reports expect to see the release preview debut on Friday or Monday, you may just want to sit this one out.